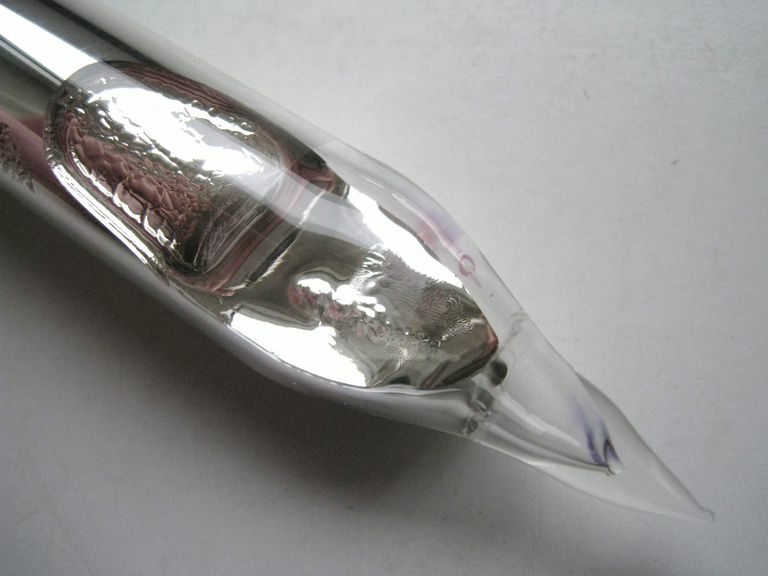 Rubidium is a silver-colored alkali metal with a melting point slightly higher than body temperature. The element is atomic number 37 with element symbol Rb. Here is a collection of rubidium element facts. Fun Fact: The half life of the radioactive isotope Rb-87 is 49 billion years or more than three times the age of the universe. Discovery: R. Bunsen, G. Kirchoff 1861 (Germany), discovered rubidium in the mineral petalite via its dark red spectral lines. Word Origin: Latin: rubidus: deepest red. Isotopes: There are 29 known isotopes of rubidium. Natural rubidium consists of two isotopes, rubidium-85 (stable with 72.15% abundance) and rubidium-87 (27.85% abundance, a beta emitter with a half-life of 4.9 x 1010 years). Thus, natural rubidium is radioactive, with sufficient activity to expose photographic film within 110 days. Properties: Rubidium may be liquid at room temperature. It ignites spontaneously in air and reacts violently in water, setting fire to the liberated hydrogen. Thus, rubidium must be stored under dry mineral oil, in a vacuum, or in an inert atmosphere. It is a soft, silvery-white metallic element of the alkali group. Rubidium forms amalgams with mercury and alloys with gold, sodium, potassium, and cesium. Rubidium glows red-violet in a flame test. Biological Effects: Rubidium carries a +1 oxidation state, like sodium and potassium, and displays biological activity similar to that of potassium ions. Rubidium concentrates inside cells within the intracellular fluid. The biological half-life of rubidium ions in humans is 31 to 46 days. Rubidium ions are not particularly toxic, but rats die when over half the potassium in heart muscle is replaced by rubidium. Rubidium chloride has been tested as a therapy for the treatment of depression. Researchers found dialysis patients suffering from depression tended to experience depleted rubidium levels. The element is not considered to be essential for human nutrition, although it is present in small quantities in nearly all human and animal tissues. Rubidium melts just a little above body temperature. Rubidium was discovered using spectroscopy. When Bunsen and Kirchoff examined their sample of petalite, they found two red spectral lines deep into the red part of the spectrum. They named their new element rubidium after the Latin word rubidus meaning 'deepest red'. Rubidium is the second most electropositive element. Rubidium can be used to give fireworks a red-violet color. Rubidium is the 23rd most abundant element in the Earth's crust. Rubidium chloride is used in biochemistry as a biomarker to track where potassium is taken up by living organisms. The hyper-fine electron structure of Rubidium-87 is used in some atomic clocks to maintain accuracy. The isotope Ru-87 was used by Eric Cornell, Wolfgang Ketterle, and Carl Wiemen to produce a Bose-Einstein condensate. This earned them the 2001 Nobel Prize in Physics. Campbell, N. R.; Wood, A. (1908). "The Radioactivity of Rubidium". Proceedings of the Cambridge Philosophical Society. 14: 15. Haynes, William M., ed. (2011). CRC Handbook of Chemistry and Physics (92nd ed.). Boca Raton, FL: CRC Press. p. 4.122. ISBN 1439855110. Meites, Louis (1963). Handbook of Analytical Chemistry (New York: McGraw-Hill Book Company.